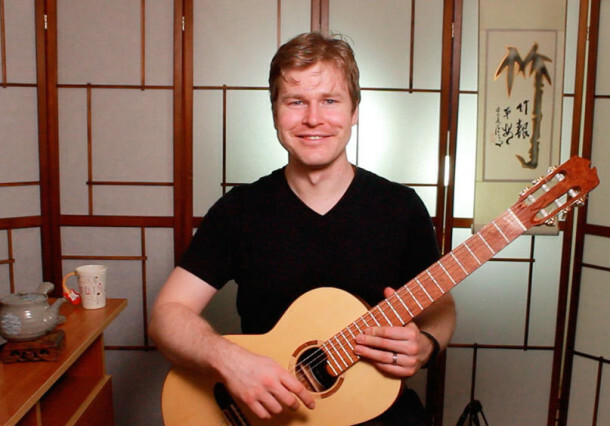 In this episode of Fret Dojo TV, I cover how to play the Travis fingerpicking pattern in detail. 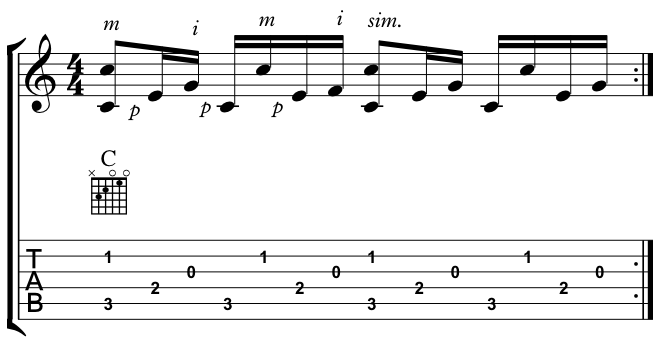 This is one of the most common guitar fingerstyle patterns to learn, and features in many classic songs such as Dust In The Wind by Kansas. Funny enough the guitar part for this song was written originally as a guitar fingerpicking exercise – so makes for not just an awesome song but also a good technique builder too. Learning this pattern will enable you to play many acoustic fingerstyle songs so I very much hope you enjoy learning this one and that you find this video useful. Whilst easy to play once your hands have worked out what to do, this pattern is not very intuitive to learn. Click here to get the pdf of the step by step exercises to develop this pattern as outlined in the video. t really helps to have an accurate chart for a more complex song like this, so here is a link to musicnotes.com where you can buy the sheet music inexpensively. I have tried free TABS and so on for this song but this sheet music is well worth the investment as it is much more accurate. Thanks for reading and watching! Please let me know what you think by leaving a comment and if you have any more tips you can offer for learning this song or the techniques covered. If you have any ideas for future posts for this website please get in touch via [email protected] or you can look me up on twitter, @gregoguitar. Take care and I’ll see you in the next episode of Fret Dojo TV!